Need a place to hold presents, food or a somewhere to eat? Here's the answer. These Rectangular 8' tables seat 6 adults comfortably or 6-8 children. NOTICE: These are festival type chairs and tables, they are marked, scraped, marred, possibly cracked and maybe a little dirty. Tables and chairs are delivered stacked. 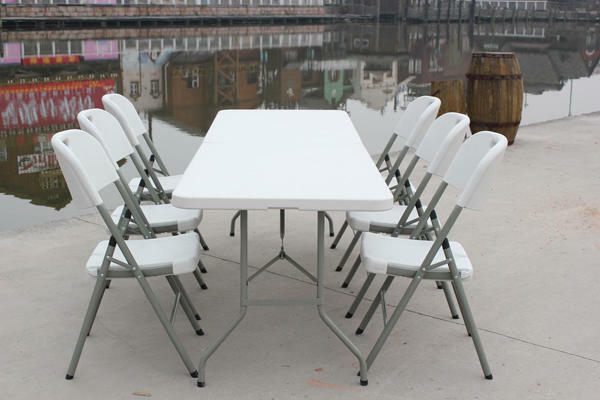 It is the responsibility of the customer to set up and arrange tables and chairs. Set up labor can be arranged at $20/hour.